Tile and stone can be used to add unique style to a kitchen. Homeowners may be interested in some tips about buying tile and stone for your kitchen in Los Angeles. A decorating showroom in LA that displays granite, stone, and marble tile as well as other flooring and accent options can give a homeowner some ideas to create a unique look for the kitchen. 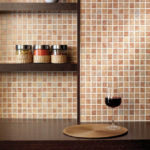 There are many considerations when buying tile and stone for your kitchen. Many homeowners immediately look at the appearance of the stone and tile. This is not a wrong approach, but there are other factors that should be considered. Price, maintenance, and function also should be priorities. For the function of the tile or stone, some tile and stone is for use on walls or as countertops while others can be used as flooring. Porcelain tile is durable and versatile, but is often considered to be lesser quality than other types of tile. Granite is durable, but can be stained by oils. Having a clear decorating style can help the homeowner select tile or stone that will match the tone of the decorating and thereby support a cohesive look rather than disjointed mixtures of styles. Stone flooring enhances a natural look in the kitchen. Granite tile also can provide a natural feel. Marble tile can be used in classical or modern decorating. Maintenance may be a consideration for homeowners since many homeowners choose materials that require little to no maintenance. Granite and marble tile need to be sealed periodically to prevent etching or staining. Slate flooring may be sealed regularly to maintain the finish. 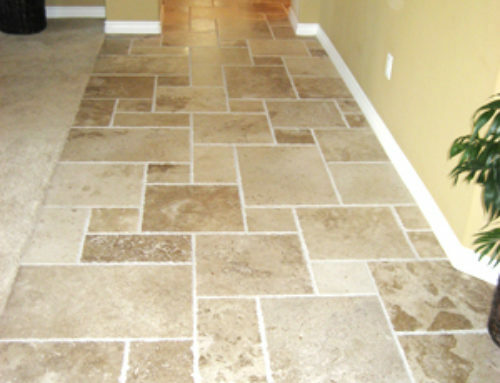 Types of tile have varying levels of hardness. When considering durability, the homeowner should make sure that tile to be used for a kitchen floor is rated to be able to handle medium to heavy traffic. 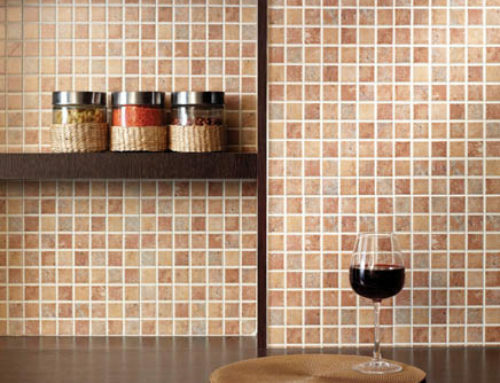 Tiles that are made for light traffic can become damaged easily when used for the kitchen floor. 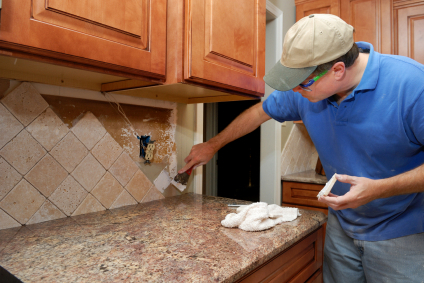 Countertop tiles need to be impervious or relatively nonabsorbent. Some tiles are better suited for use as countertops while others can be used with care. A marble countertop can become etched if acidic foods such as lemons are cut on it. Cost is an important consideration for some homeowners. 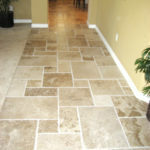 Porcelain tiles are generally the most economical choice. Some homeowners avoid porcelain tile since they want something that will be considered high quality in case they want to sell their home in the future. Granite tile tends to be slightly more expensive than marble tile. 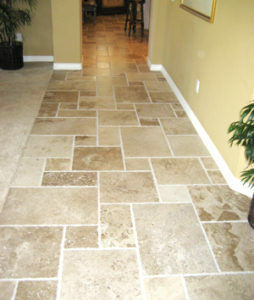 Slate and other stone flooring can be an economical choice. 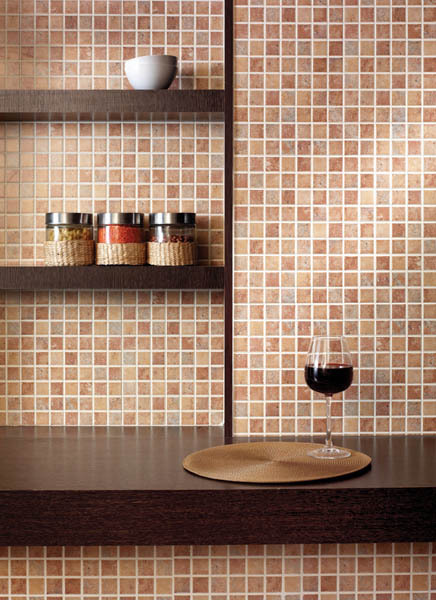 The prices for each type of tile varies with quality and style. With the help of a knowledgeable salesperson or interior decorator, the homeowner can buy tile or stone for kitchens that will provide a fresh new look. The styles can range from classic to a sleek, modern appearance. With the wide range of available tile and stone, one is sure to meet the needs of any homeowner.